When I started my law firm I was a solo practitioner fresh out of law school with no idea how to build a law practice. One morning a sales representative came by my office selling yellow page ads, literally ads in a physical phone book. The advertising costs ranged from $20 a month to $5,000 a month. The kicker…a one year commitment. This meeting was a crash course, not only in the competitiveness of law firm marketing but also in the economics of pursuing client leads. I politely declined, as I knew online advertising for law firms was a burgeoning field. Solo and small firms are faced inevitably with a wide variety of choices on how to market online. Local marketing budgets range from $100 per month to well over $10,000 per month. Rarely will you find marketing firms that offer month-to-month options, as most require long term commitments of six months or more. The promise of quality leads has led many attorneys to sign expensive long term contracts that can cripple a growing practice’s cash flow. A basic understanding of what you’re being sold is essential in order to determine which online marketing option is best for your firm. Online marketing centers around search engine rankings. Visibility, via search engine rankings, translates to web traffic. Web traffic results in client leads for attorneys seeking new business. Marketing firms seek to sell you positioning in one of three ways 1) Search Engine Optimization (SEO), 2) Directory Listings, or 3) Pay-per-click advertising. This is frequently marketed as “we’ll get you on the first page.” Essentially, this is puffing in its purest form. The goal of search engine optimization is to create or optimize your website in a manner that results in your firm appearing high in organic searches for your respective practice areas. This is the ideal marketing strategy for all law firms but “ideal” does not mean it is right for everyone. Depending on the market, at a minimum, it requires generating copious amounts of content and being active on social media. Most lawyers don’t have time to meet these requirements. As a result, some marketing firms specialize in creating content for firms. While one-time optimization is a service available to firms for a flat rate, content generation is generally billed on a monthly basis. If your website organically ranks well then you can minimize paying a marketing firm for visibility on major search engines like Google and Bing. Marketed as “premium” or “featured” listings, the leading advertising companies in this area are Avvo, Lawyers.com and Findlaw. These companies either rank on the first page for popular legal searches or they pay for premium ad space with search engines to appear on the first page. A potential client finds their website and selects a practice area and location. If an attorney pays enough for a premium listing on their directories, your firm listing will prominently be displayed in the search results. These services can be expensive and the costs vary greatly based on the amount of traffic the site receives for a particular keyword and practice area. Monthly listings in less popular practice areas can be as inexpensive as $30 per month. More popular practice areas can be as expensive as $1,200 per month. While some firms will allow you to commit to a month-to-month contract, many require commitments as long as one year. If reasonably priced, however, one conversion from the directory can easily cover months of expenses. Adwords is Google’s pay-per-click (PPC) platform which allows you to bid for placement. Essentially, if you’re willing to pay the required price per click, you can “buy” the right to be the first result in a search for a particular search keyword. While your marketing budget determines your placement, Adwords provides you with extensive statistics so you can easily track your ROI. Adwords has the added benefit of having no long term commitment as you can suspend or disable your account at any time. Social media marketing is increasingly being used by firms, primarily via Facebook. You can market your firm to a specific set of people in the geographic location of your choice for relatively cheap. Like Google, you can terminate the ad at any time. While you can market on either of these platforms on your own, it is not recommended for a novice. Many advertising firms will manage Adwords campaigns for you for a monthly fee. This fee typically includes your marketing budget and their fees. There are also companies that will set up an initial campaign for you for a flat fee and you can pay them to tweak your setup if you’re not happy with your ROI at regular intervals. A firm needs to decide how much it wants to spend on marketing. There are plenty of successes and failures when it comes to internet advertising. The important takeaways from this article are (1) know what you’re getting into, (2) know what you’re guaranteed, and (3) know your exit strategy if your return on investment is not positive. 1) Know what you’re getting into. I highly recommend looking for flat fee service providers for search engine optimization and for pay-per-click campaigns. In the alternative, favor month-to-month providers over firms that require long term commitments. Google can take months to update its rankings. Entering into a long term commitment may appear to save you money, but firms can and will rely on the inherent delay in Google updates to excuse their lack of results. Meanwhile, you’re still paying monthly fees with no way out if your cash flow slows. With a flat fee or month-to-month provider, you can control your expenses by determining your up-front costs and by suspending or terminating the service if you’re not satisfied. As an added bonus, month-to-month services put pressure on marketing firms to deliver results or lose you as a client. No reputable firm is going to guarantee you search engine positioning. There are a number of factors that come into play and those factors change frequently. This makes hiring SEO firms a tricky proposition, as having an SEO friendly site which generates unique content are requirements to rank well. However, having both of these things doesn’t guarantee you will rank well. With directory listings, Adwords, and social media, you should insist on periodic statistical reports. These reports, at a minimum, will show how many times your listing was seen, but most can show you how many times your ad was clicked on and how many calls you’ve received. Statistics are essential to determining whether your listing is making you money or draining your bank account. There is no real exit strategy in long-term contracts. Firms will not hesitate to demand the full value of the contract in the event you stop paying, even if you’re not making money from the service. Month-to-month and flat rates allow you to plan and be fully aware of the worst case scenario in the event your marketing plan doesn’t pan out. Many solo practitioners and small firms are anxious to grow their practice. Making prudent decisions in your approach to online advertising puts you in a position to reap the benefits of a sound strategy. J. Patrick Williams is a founding partner at Batch, Poore & Williams, PC in Raleigh, NC a family law firm. 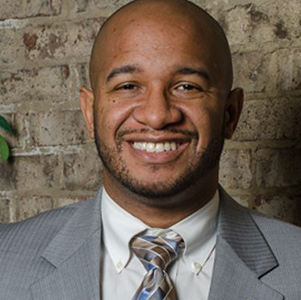 Patrick is also the owner/founder of Prorolo.com, a North Carolina based directory and resource database of and for attorneys and law related service providers.